For the past 15 years a mass migration has been underway from the Eastern to the Western United States. Detroit, Pittsburgh and Chicago have all had population declines while Tucson, Phoenix, Denver, Salt Lake City and Provo have seen significant population increases. A major reason for the western migration has been the decline in textile and manufacturing jobs, which defined the Eastern states throughout the twentieth century. In a global marketplace, jobs follow cheap labor and most manufacturing jobs to moved to Asia. Western States have better adapted to the economic shift from products to services and technology. 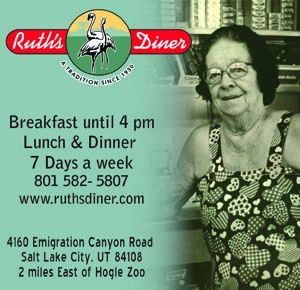 Many easterners are coming to Utah for reasons other than to ski our powder. Utah has a significant job market advantage, thanks to eBay, Adobe, Micron, Mozy and Overstock.com, and a huge number of new tech businesses. 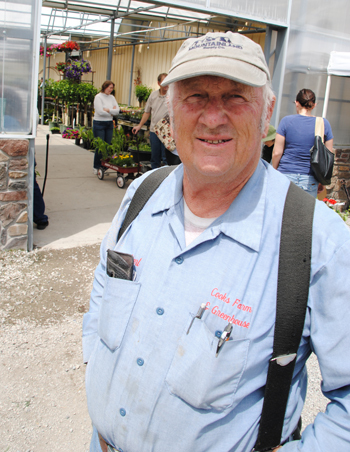 Vineyard Farmer Grant Holdaway has operated Vineyard Garden Center for the past 50 years. His home across the street from his business has been acquired by UDOT through eminent domain acquisition. Farmer Grant says he doesn't like his new home. 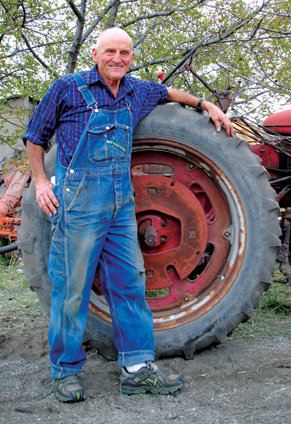 Vineyard farmer Verl Cook was once a local supplier for Walmart. He told Utah Stories in 2009 that the big boxes don’t pay him a dime until his produce goes through checkout. Furthermore, Walmart tells suppliers what their crop is worth. Suppliers have little say in the matter of profit. Forcing low prices would require Cook to pay his employees lower wages or use fertilizers and pesticides less cautiously. Cook said his farm could never have never survived if he continued to work under Walmart’s rules, so he began to sell at farmers markets instead. He’s been successful there, and enjoys his customers’ smiling faces. Utah Stories has followed Cook’s ongoing saga for the past three years, in trying to maintain his small Vineyard farm among all the progress and development. It has been about a year since I’ve spoken to Verl, and I catch him on his way to a meeting for a short conversation. “How’s it going?” I ask. “Terrible. Absolutely terrible,” Verl says matter-of-factly, with a wry smile. Cook’s latest barrage from cities sounds more like military tactics than a legitimate city process. Last year, UDOT required 40 acres of Cook’s land for I-15 freeway expansion and a new off ramp in Vineyard, Utah. They took his only source of water, an irrigation canal. Later, UDOT annexed the southern portion of Cook’s farm to widen the road off a soon-to-be-completed off ramp. Cook was mandated by Orem City to repave his parking lot in 2008, at a cost of nearly $60,000. In 2010, UDOT informed Cook they would be acquiring 10 feet of the parking lot for the road widening project. Cook was then required to move or demolish ten greenhouses in order to widen the freeway. He is currently attempting to lease some of his land back from Orem that he can see they will clearly never use. Ridiculously, Orem has declared the land contaminated and unfit for use. Talking to employees at Cook’s farm we find longevity. One woman has worked with him for 15 years; another employee, 17 years. With Cook, turnover is low because it’s a good, family company. They help their employees when there is a family crisis. Councilman Simonson believes that a “day of reckoning” is coming, when energy prices will cause suburban sprawl to become impractical and unsustainable. He believes someday soon gas prices will increase significantly, causing imported food and products to become much more expensive, and city leaders will realize building big boxes developments and housing over viable farms was a mistake. Down Geneva Road, we met Farmer Grant. Like Verl Cook, his rough hands and tough exterior all seem to soften as he recounts the world today compared with the world he grew up in. Farmer Grant’s home has recently been acquired through eminent domain. “I’ve watched the devolution of vineyard. This has gone from a beautiful farming community to a ugly waste area,” he says. Grant Holdaway has operated his Vineyard Garden Center for the past 50 years and now a huge piece of land which once contained thousands of acres of dairy farms, orchards, wheat, alfalfa now all lies fallow. Dozens of family farms were acquired by developers as real estate prices began skyrocketing in this area. But after the housing bubble burst in 2008, all plans to develop the land into condos fell through. Now UDOT is still moving forward with widening the frontage road in order to accommodate the eventual project. It is due to this widening project that Farmer Grant’s home and the West portion of Verl Cook’s farm have been acquired by UDOT through eminent domain. 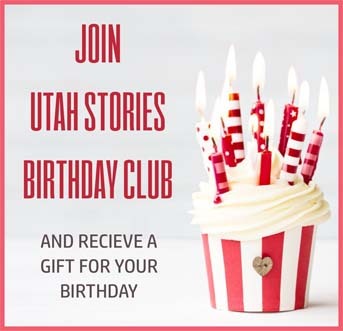 Read more from Utah Stories on this topic: Smart Growth in Utah & The West and Munich: A Modern Smart Growth Marvel.